Casillero del Diablo, the most widely recognized Premium brand of Chilean wine, has recently signed chef- host Sharwin Tee as its newest ambassador. Highly acclaimed after gaining his culinary fame for being the first-ever winner of Lifestyle Network’s reality cooking show “Clash of the Toque-en Ones” and a host of his own show, “Curiosity got Chef”. The celebrity chef, with his perpetually smiling personality, likes to experiment with recipes of hearty Filipino dishes that are deliciously familiar and easy to pair with any side dishes whether paired with a hot cup of coffee or a glass of wine. 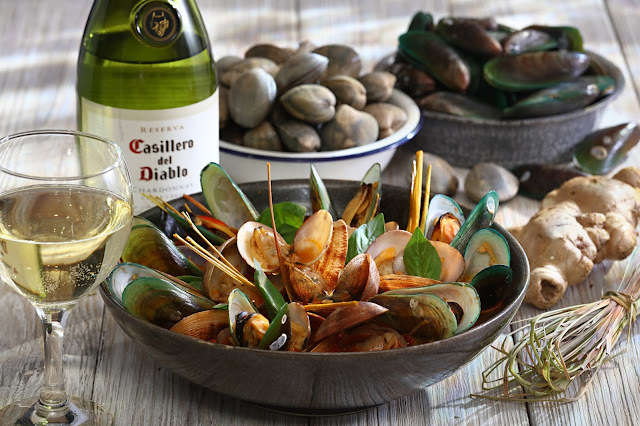 “A Filipino dish isn’t the one that pops up into our mind when we think about wine and food pairing because they are not classically served with wine, but with Casillero del Diablo’s wide array of wines, this isn’t the case. 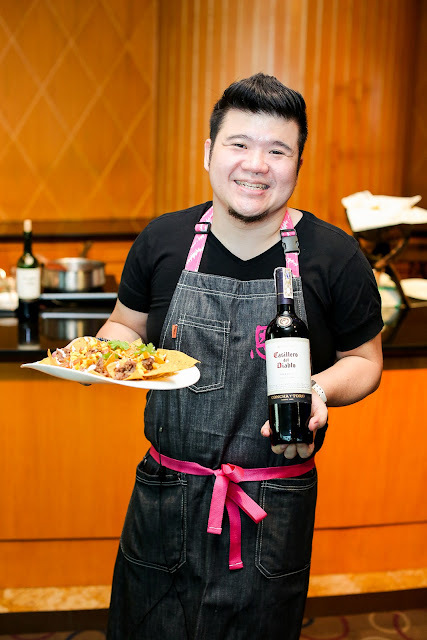 Casillero del Diablo, with its wide selection of wine varietals, gives you an opportunity to experiment and know which wine will really suit and should be paired with the taste of a Filipino food,” Chef Sharwin shared. For the newest ambassador, food and wine pairing with Filipino Food is a tough job – but since Filipino dishes is one of his specialties, he spiced up the wine and food pairing by cooking his recipe with the wine itself. “We all know that Filipino dishes have already a very distinct and strong flavor - but I’ve decided to spice it up with Casillero del Diablo. By adding the value of the wine, everyone can perfectly enjoy Casillero del Diablo wines both in and with Pinoy Dishes,” says Chef. The top Chilean wine brand believes that pairing wine with your day to day Filipino dishes is one of the most successful ways to introduce this Chilean legend to the casual Filipino wine drinker. Available in Merlot, Chardonnay, Shiraz Tinto, Pinot Noir, Sauvignon Blanc, Chile’s famous Carmenere and the best seller Cabernet Sauvignon. Casillero del Diablo is also meant for those who seek identifiable flavors and blends but have taken their wine drinking passion to the next level.